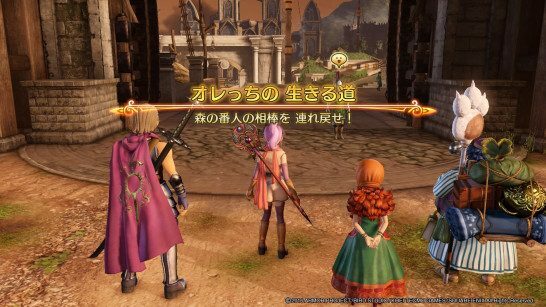 THIS PAGE CONTAINS A FULL WALKTHROUGH OF THE MAIN QUEST ROSAS FOREST IN DRAGON QUEST HEROES 2, INCLUDING ENEMIES, OBJECTIVES AND STRATEGY. We will be updating this as we go along. This page contains a walkthrough on the main quest “Rozas Woodlands” in Dragon Quest Heroes II. Most of the terms here are based on the Japanese version of the game, so some terms may not be translated clearly. We will be updating this when the English version of the game comes out in April 25, 2017. Proceed Northeast, then head to the flag’s position (Cretia Gate). Guards are stationed on D-5, so the group cannot move forward. Talk to guards, gain access to the graveyeard. Operate the D-6 stone monument. Avoid encountering the sleeping Boss Troll at E-6. Speak to the Rozas Woodlands Keeper. Head to the “Magical Forest” Battle Stage. ※ 1st Blue is unlocked when you can go to the Wilderness of Lao. 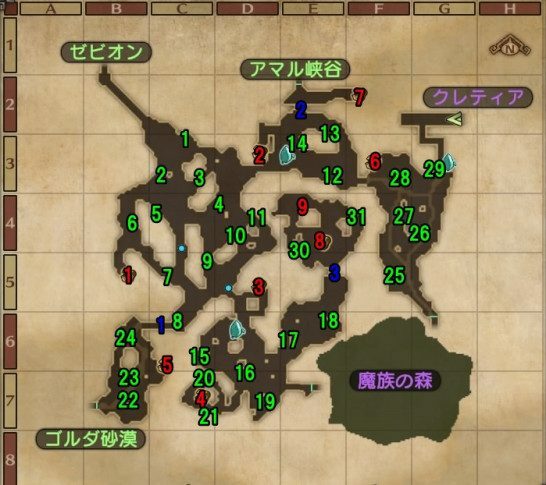 ※ 2nd Blue is unlocked by examining the “Amal Gorge” side after befriending Meena. ※ 3rd Blue is unlocked when you befriend the Kyril. Interact with the girl in G-2. Talk to the Guard found at G-4. Answering either will prompt a battle against the Float-o-copier. It will flee once its HP falls to 50%. At C-2, when you trigger an event, the group will enter an open area. When you reach G-3, an encounter will commence. Defeat the enemies that have less HP than the Float-o-copier’s. You will encounter more enemies in another round. Once you finish all the enemies, take out the Float-o-copier, to finish it. Requires at least level 30. The Elder Tree attacks by whipping its vines which ensnare the player’s movements. The best weapon to use against it are Fire-endowed ones due to their burning potential. This temporarily immobilizes the enemy. Similar to the Elder Tree, it is recommended to raise the party to level 30 to have a higher chance at defeating the Boss troll. Focus on dodging as its attacks deal immense damage.